Clarke is a best selling author, has documentaries that have aired on National Geographic Channel, and is the proprietor of his own outdoor retail business in Canada, Out There Adventure Centre. The online store is http://www.liveoutthere.com supplying outdoor gear and apparel. The map below pinpoints the Seven Summits. 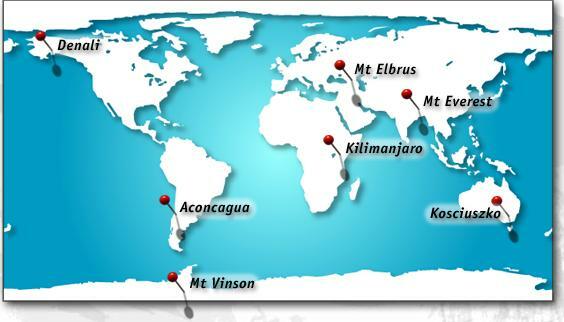 Mountaineers across the world aspire to climb all seven in a lifetime. 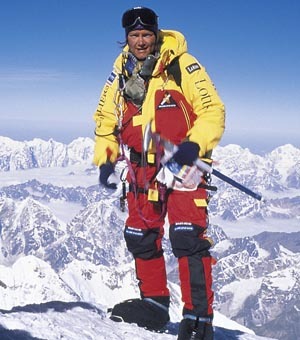 The tallest of the seven is Mount Everest, which Clarke has summited twice. This entry was posted on April 17, 2014, 12:12 pm and is filed under BCA News, Pictures, Speaker. You can follow any responses to this entry through RSS 2.0. You can leave a response, or trackback from your own site.